Despite being one of the oldest modes of transportation still in use today, rail is moving towards reliance on sustainable energy sources at an impressive pace across the globe. A new era in rail travel is now underway, as systems around the world are engineering new means of powering their trains with renewable energy. By effectively complementing current sources of power, these innovations could lead to an even more sustainable future for the rail and energy industries alike. In the Netherlands, for example, passenger trains are primarily powered by wind. Its primary railroad, Nederlandse Spoorwegen, uses wind energy to power its 1,200 electric trains and transport 600,000 people every day. This single company serves more than 90% of the country’s commercial train travel needs. Since renewable energy is usually more expensive, NS is employing cost-cutting measures elsewhere, such as shutting off lights and air conditioning when trains are out of service and braking more slowly whenever possible. It expects that such measures will reduce energy consumption by 35%, lowering operating costs while heightening efficiency throughout the national network. 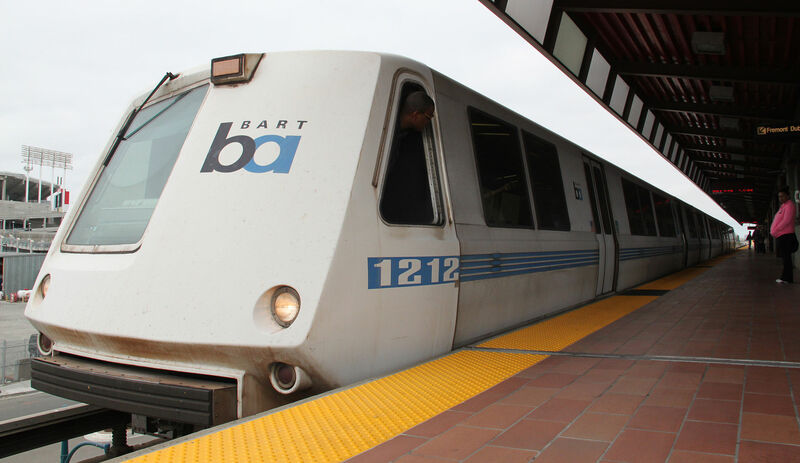 In California, San Francisco’s Bay Area Rapid Transit System (BART) recently promised to derive at least 50% of its wholesale electric portfolio from eligible renewable sources and at least 90% of it from low-carbon and zero-carbon sources by 2025. According to this new sustainability policy, it will rely entirely on zero-carbon and eligible renewable sources by 2045. This makes BART one of the first electric public transit systems with an established plan to convert entirely to renewable power. Like NS, BART’s new sustainability policy also seeks to lower operating costs by reducing total energy consumption. But the San Francisco transit system is going the extra mile by purchasing this clean energy itself, making way for what Greentech Media’s Julian Spector calls “the transit agency as electric utility.” With the help of SolarCity, it’s also planning on building its own on-site solar generators in order to help offset the costs of purchasing clean energy from the wholesale market. Several other countries have started renewable energy programs for their railway networks as well. Chile’s Santiago Metro, for example, partnered with a solar energy provider and a renewable energy firm last year to construct a specially designed solar plant and complex of wind turbines to power the rail system. The projects will be completed in 2018, and could supply the metro with power for as long as fifteen years. In Europe, Italian startup Greenrail has developed a highly anticipated form of railroad ties that can generate up to 150 kWh of solar energy for every kilometer of rail while a train is running. Made from concrete and recycled plastics, these ties contain a built-in photovoltaic module that effectively transforms the railway lines themselves into solar fields. A similar initiative in the United Kingdom, Network Rail, has bypassed traditional grid methods by connecting solar panels to traction energy lines. In Asia, the Hindu Business Line reported in early May that Indian Railways (IR) is negotiating a deal to rely on power from Rewa Ultra Mega Solar Ltd., a joint venture between the Solar Energy Corporation of India and the government of Madhya Pradesh. Relying on this power bank would afford IR access to ten megawatts of solar power every day. While these new and innovative projects may result in a more sustainable future for the rail industry, railroads will always need to protect and maintain their equipment, regardless of what powers them. With over forty years of experience in the industry, Midwest Industrial Supply, Inc. offers operators a wide range of products that lubricate, protect, and strengthen railroads. Our rail lubrication products and anti-icing agents are durable, efficient, and environmentally friendly, ensuring high performance in any climate or location. As the rail industry moves into a more sustainable and efficient age, Midwest’s suite of solutions can help you ensure that your operations keep up with the times.